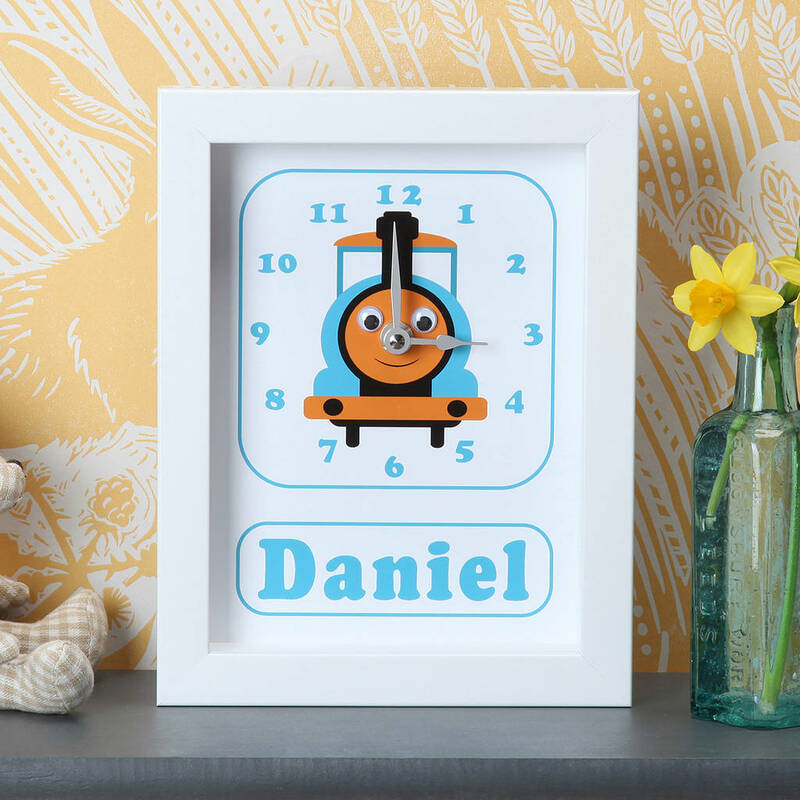 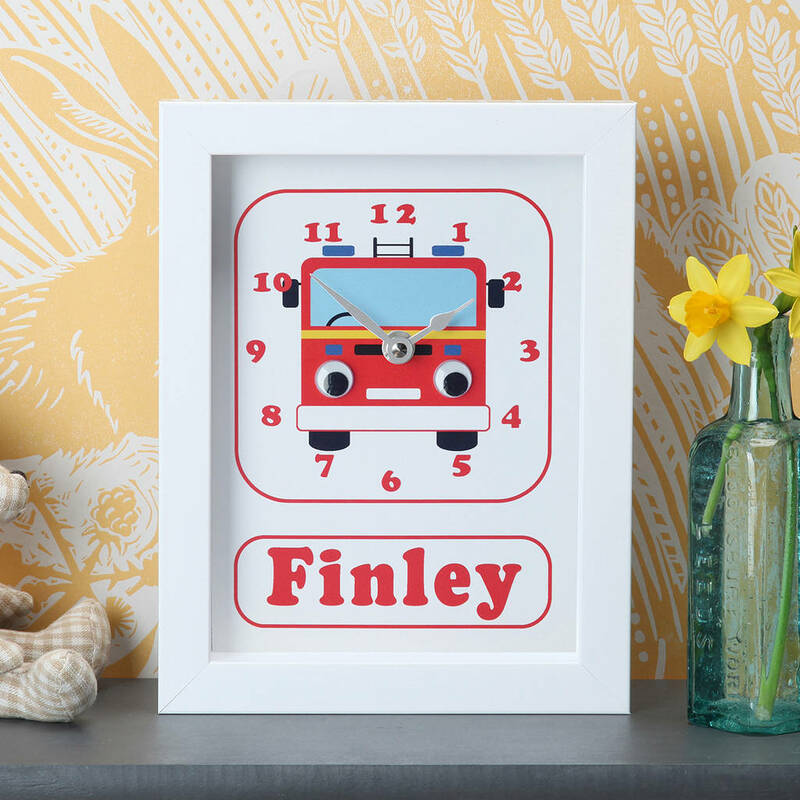 Telling the time can be lots of fun, with our cute googly-eyed transport clocks! 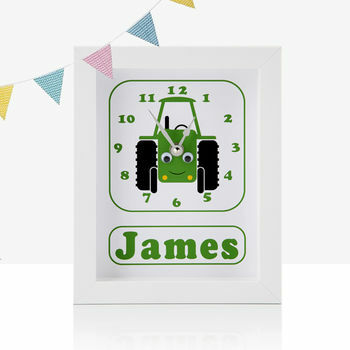 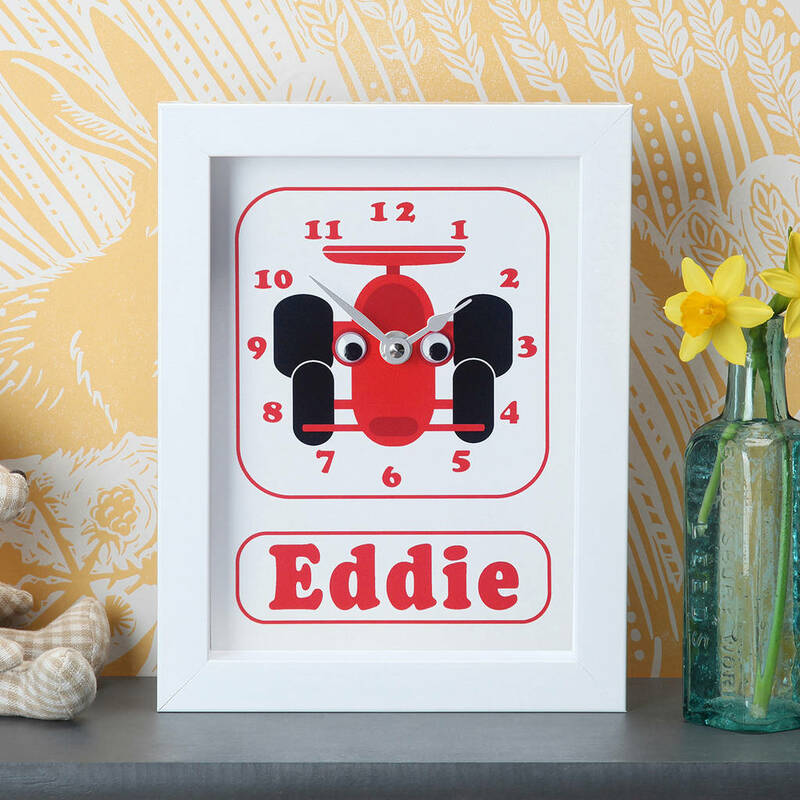 Our personalised transport clocks are an ideal gift for those little diggers, firefighters and farmers amongst us. 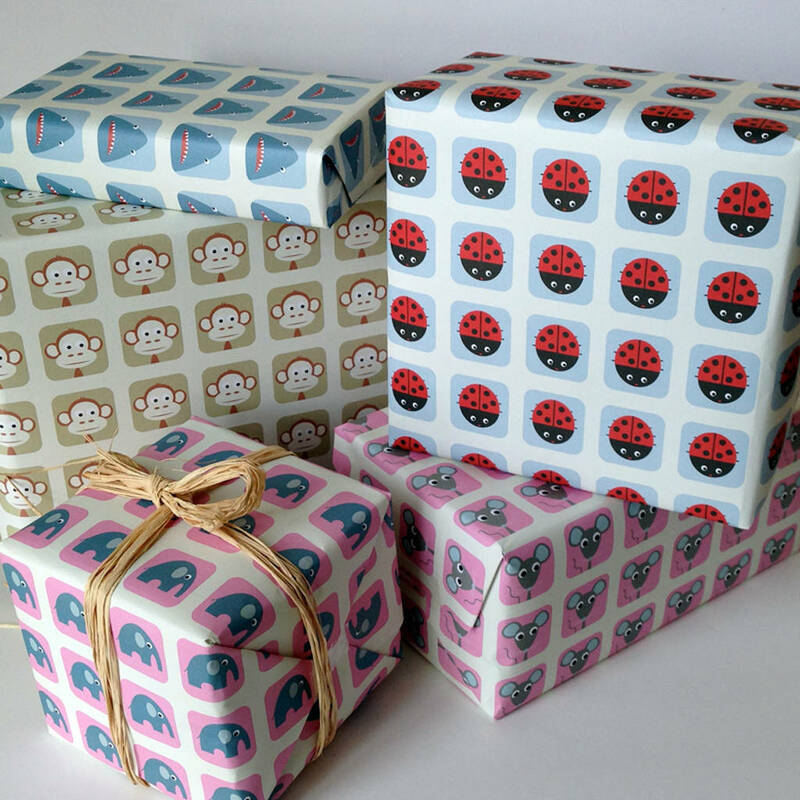 Simply choose your favourite googly-eyed design, give us the name of the recipient and we'll do the rest! 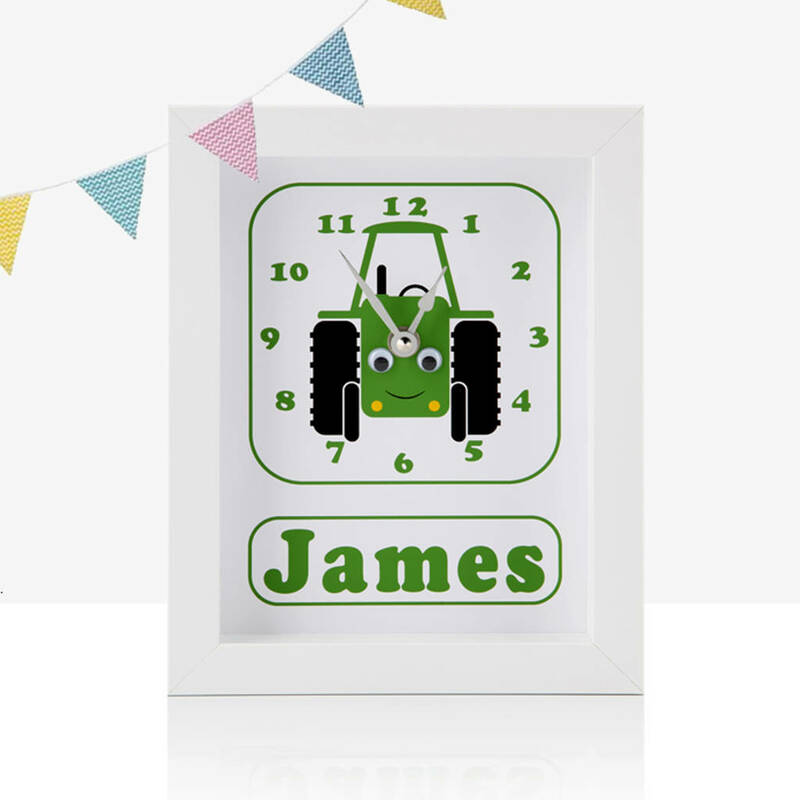 You can send these personalised transport clocks direct to the recipient, with your own special message included, perfect if you are overseas, in a hurry or want to save on postage. 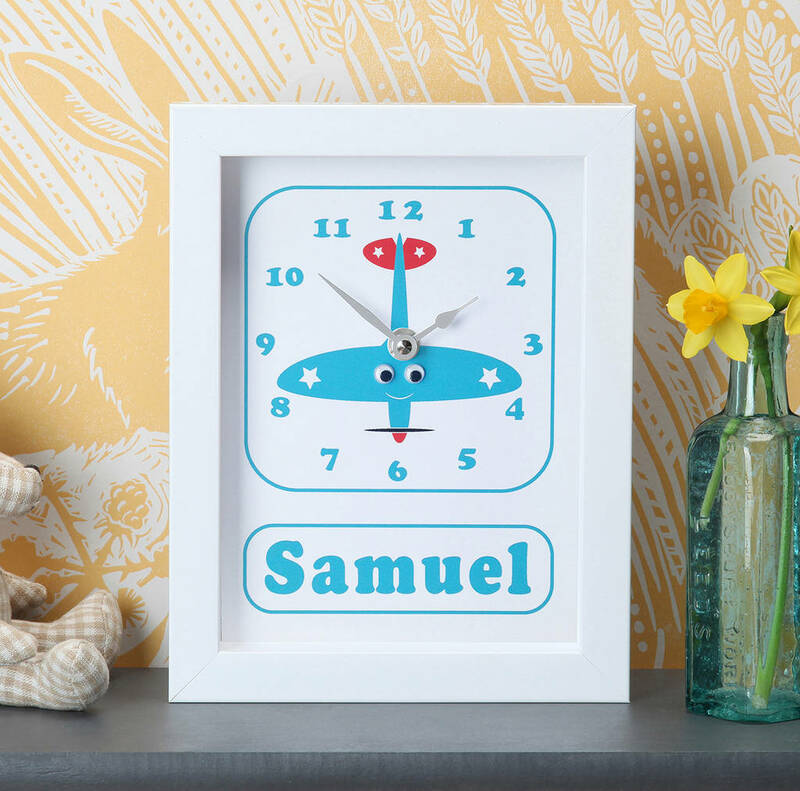 The Clock comes packaged in its own gift box, and can be gift wrapped. 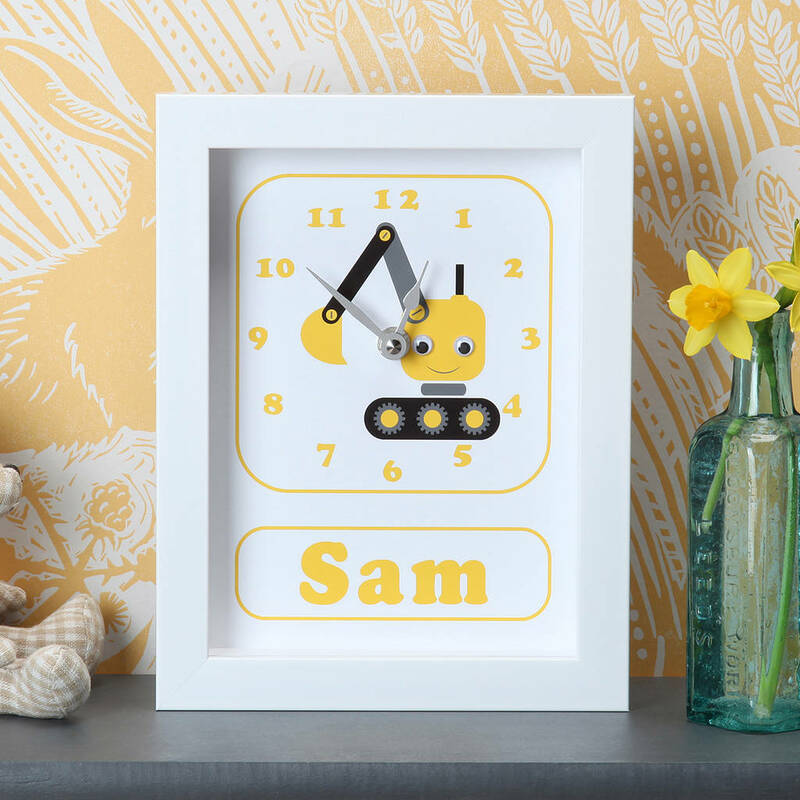 Features a high quality non-tick and non whirring clock mechanism, with quality silver metal hands and a hanging bracket.